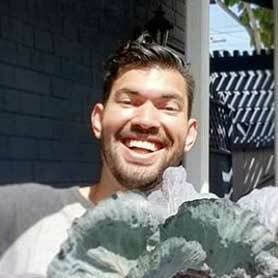 Home » How Does Light Affect Plant Growth? 1 Why Do Plants Need Light? 2 What Kind of Light Do Plants Need? 4 Indoor Grow Lights vs. Sunlight: Which Wins? Light affects us all in different ways. Some people want to raise their arms and greet the morning rays with gleeful shouts. Others turn into vampires and hide under the bed covers. These people usually need coffee before they’ll so much as peek out from under the sheets. Regardless how humans may react when showered with sunshine, it may be helpful for the serious gardener to know: how does light affect plant growth? The answer could mean the difference between plants that dance and plants that crawl back into the dirt like the undead. You might recall your old science classes in grade school discussing photosynthesis when answering the question, “How does sunlight affect plant growth?” Perhaps it looked something like this: 6H2O + 6CO2 —-> C6H12O6 + 6O2. Well, that’s a lot of numbers and letters. Perhaps this description is a little easier to comprehend if you have forgotten all that chemical equation stuff: plants use light, water, and carbon dioxide to make sugar, which is converted to ATP (the stuff that fuels all living things) by cellular respiration. Chlorophyll absorbs the sun’s energy. Carbon dioxide enters the leaves through tiny pores. The roots draw up water from the soil. The energy from the light is what chops up the water molecules like your favorite horror movie villain. This horrific act gives us the oxygen we need to breathe so I guess it isn’t all that horrifying. The carbon dioxide befriends the abandoned hydrogen to make the plant’s fuel. Who’d have thought the horror villain in this photosynthesis tale is actually the good guy? Not all light is exactly the same. You may be wondering about indoor light systems and how they compare to natural sunlight. Here’s a quick explanation of what light plants actually need and use. Most people are familiar with the breakdown of light into colors as displayed by a rainbow after a storm. Light from the sun refracting through raindrops allows us the rare and beautiful glimpse of Roy G. Biv. The spectrum includes these colors as well as many other types of wavelengths, like cosmic rays and gamma rays. Well, we’ve already dabbled in the horror genre. I suppose it’s appropriate we’ve stumbled into the science-fiction realm now. It won’t be long until I’ll be telling you how to grow plants on the moon. A new question may be forming in your mind now that we’re talking rainbows: does the color of light affect plant growth? It does indeed. We use nanometers to measure wavelengths. 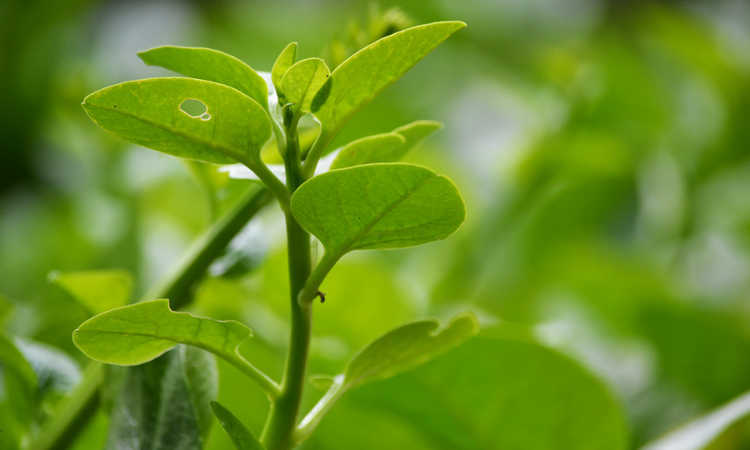 Plants use different ranges of nanometers for different growth phases. The useful range for gardeners to know is referred to as this mouthful of a phrase, Phytosynthetically Active Radiation. Measured from 400 to 700 nanometers, this range encompasses all those colors we adore. However, PAR is not used all at once. The purple and blue light wavelengths, 400 to 490 nanometers, stimulate the vegetative growth phase while the yellow-orange-red wavelengths are used for flowering and fruiting. You emerald lovers probably already know that the plant doesn’t use the green wavelength and reflects it back to our eyes. So when choosing colors of light to use on your plants, skip on the green lights and aim for either the shorter, faster wavelengths of purple and blue or the longer, slower wavelengths of yellow, orange, and red. 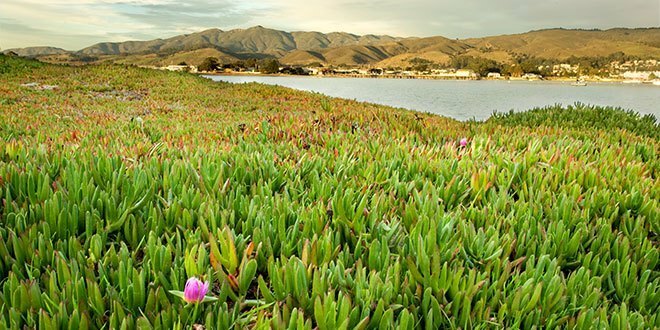 All over the world you will find native plants that thrive in their unique conditions. The Beast’s enchanted rose might have withered long before Beauty arrived to save the castle if he lived in, say, Death Valley. How well a plant grows depends on three factors: wavelength, duration, and intensity. We’ve already touched on the wavelengths that plants like. What about the ones that they abhor? 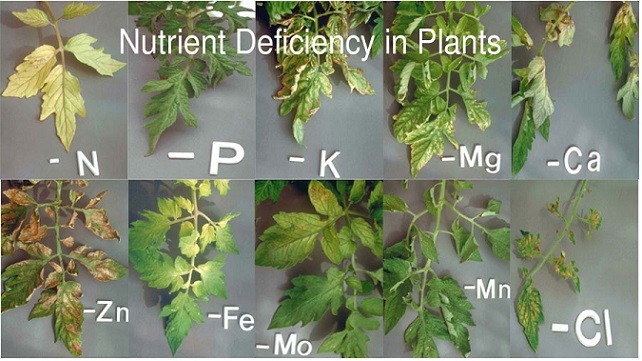 Different nanometers of ultraviolet rays may do nothing at all for your plants but some ranges can be extremely detrimental. How long a plant is in the sun will affect its growth. Alaskan gardeners can grow gigantic pumpkins that need a crane to lift them onto weight scales due to their crazy amounts of sunlight in the summertime. Other plants might not like such a long sunbath and end up seeking shade back under the soil. Intensity refers to how strong the light is and goes hand-in-hand with duration. If the light is too strong, the plant will scorch like a vampire who forgot the key to his coffin after a late night of partying. If it’s not strong enough, your little vampire won’t even come out and play. Indoor Grow Lights vs. Sunlight: Which Wins? The effect of indoor light on your little green babies depends on the type of bulbs you choose. While sunlight will always have a natural edge to quality, providing everything the plant needs to grow, full-spectrum bulbs are almost equal to the sun’s herculean task of feeding your fronds. For more information on grow lights, from the standard fluorescent light to the sci-fi-esque LED and plasma lights, check out my in-depth guide to indoor grow lights here. Whether you are a morning person or a night-crawling creature, your plants have their own light needs that must be met. Now that you understand how your plants use light to make their food, you can feel confident in choosing your own light sources that suit your needs as well as your garden’s. And if your setup really does look like something out of a Star Trek episode, send me pictures! In the meantime, any questions and comments are welcome. Share this article with your friends and make your light wishes come true together. Thanks for reading! Perlite vs Vermiculite: What’s the Difference? Hello, im trying to grow a radish plant and I was wondering how much full sunlight a radish may need and how much shade it may need to grow (how many hours)?. I am also wondering what may happen if a radish plant only gets a small amount of sunlight everyday, would that affect my radishes? Thanks for all your useful tips from your website! Usually radishes need at least 5-6 hours of sunlight a day to bulb up properly! 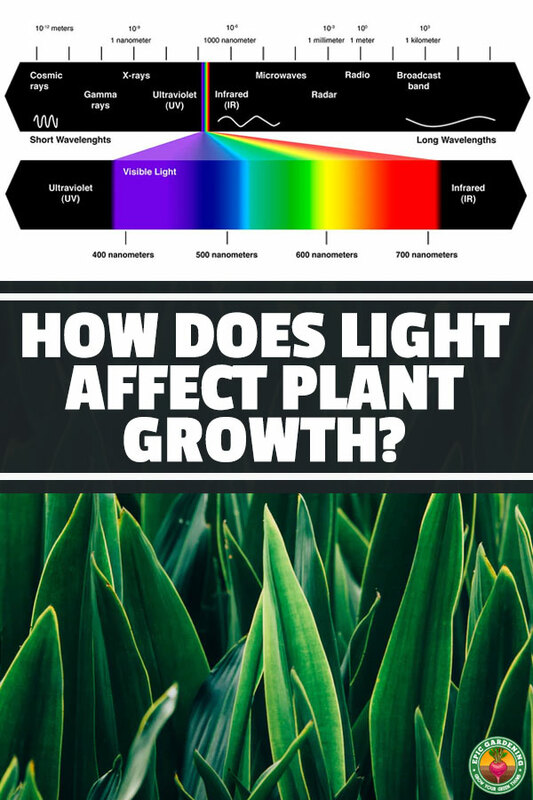 Hi, I’m doing a science experiment about the effect of coloured light on plant growth, I’m after some background information, can you please tell me out of Clear light, Red light, Green light and Blue light the order of growth of plant and why this is. There is no ‘order’ – a plant will use all types of light in varying amounts. Hi! I have a bunch of different succulents and I’m checking out this product currently to keep them green and healthy http://amzn.to/2qQEJQc. I have a donkey tail, a lithops, a pork & beans stonecrop, and a golden barrel cactus. Based on your knowledge of lights and plants, do you think this is the appropriate light for my situation? That would do OK, but it’s not a large footprint so you’d have to make sure and position all of your plants close together to make sure that they got enough light! Would allysum carpet of snow flowers be good under a heat lamp? Would allysem carpet of snow flowers be good under a heat lamp? Hi! I am trying to grow radish seedlings. How high do i have to hang my lights above my plants to get the best results? 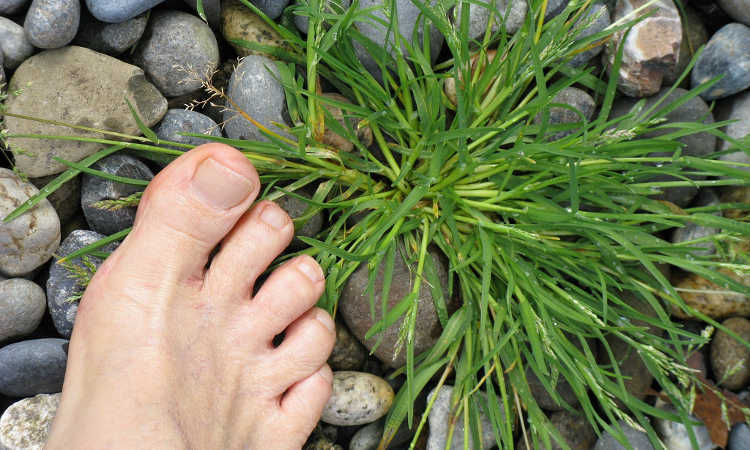 As close as possible without burning your seedlings – usually 1.5-2 feet! Hey!!! I am trying to do a science fair project. could you clarify to me who the author is and when the first publication date was? Thank you so much!! Hello! If I am trying to grow a pineapple indoors, how many CFL lightbulbs are recommended and how close should they be if the pineapple plant is already producing fruit? I’ve never grown pineapple indoors, thought I suspect it would need a LOT of light thought. I think it might be hard to grow a full pineapple indoors on only CFLs. I’m going to setup 3 daylight CFL lights to grow basil plant hydroponically, is that enough? how close they should be for seedlings and when they growing taller? It’ll do OK, just need to make sure and place them quite close to the basil, but not close enough to burn them. That’s the general rule. You can place them closer the more mature the plant is! Are flouresent light bulbs good for growing basil plants indoors? Yup, those will work well provided they are strong enough! Does a LED having high intensity and without scattering effects when focused on plants be affective? Sorry, don’t understand your question Krishna. Can you explain?